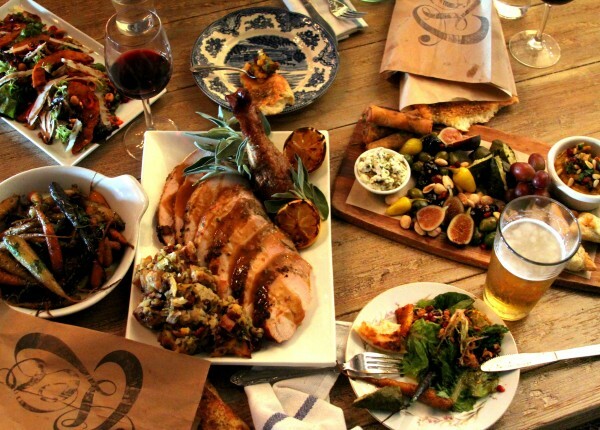 Here are some holiday dining events around Los Angeles before and during Thanksgiving. Why cook and clean? Go out and enjoy a memorable meal with family and friends. Tam O’Shanter is offering a special menu and Dickensian entertainment for its Dickens dinners on Monday, Nov. 23 and Tuesday, Nov. 24 at 6:30 p.m. and on Sunday, Nov. 22 and Saturday, Nov. 28 at 1 p.m. The Nov. 23 and 24 dinners are $96 per adult and $69 for children; the matinee dinners on Nov. 22 and Nov. 28 are $89 per adult and $59 for children. 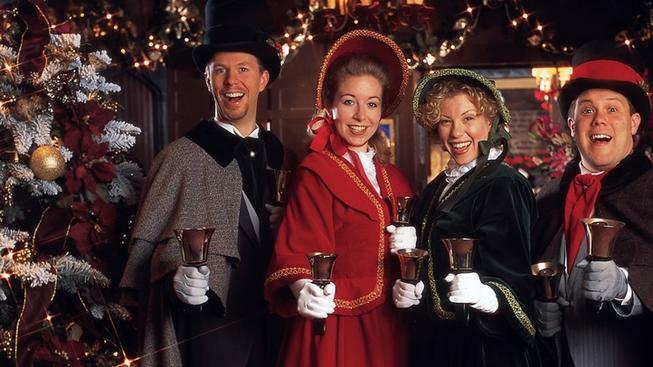 The interactive dining extravaganza features an acting troupe performing a family-friendly version of the Dickens’ classic “A Christmas Carol.” The actors wear 19th century Victorian costumes and are joined by carolers with stovepipe hats and long-tailed coats. The Tam transforms into a yuletide wonderland with a Christmas tree, candy-red poinsettias, glittery wreaths, a brick fireplace and festive decorations. The four-course meal includes hors d’oeuvres followed by mixed greens salads with pecans, butternut squash, pomegranate seeds and cognac dressing. Entrée options include prime rib, roasted goose, salmon with parsnip puree, beluga lentils and bordelaise sauce, and vegetarian winter squash with goat cheese mousse. Desserts include mincemeat made with figs, raisins and dates and vanilla ice cream with bourbon caramel sauce. 2980 Los Feliz Blvd., (323)664-0228. OpenTable. Cleo in the Redbury Hotel is hosting its annual Cleopatra’s feast with a Mediterranean twist on Thanksgiving, Nov. 26. Curated by award-winning chef Danny Elmaleh, the holiday menu will feature mezzes served family style, a choice of specialty salad, entrée and dessert. Raise a glass to family and friends while enjoying persimmon and pomegranate salad, sauerkraut and parsnip latkes with apple butter, and slow roasted spiced Colorado lamb shoulder. Desserts include pumpkin-maple donuts, and pecan and pear baklava with Greek yogurt gelato. Seatings are available at 3, 5 and 7 p.m. for $65 per person. 1717 Vine St., (323)962-1717. OpenTable. 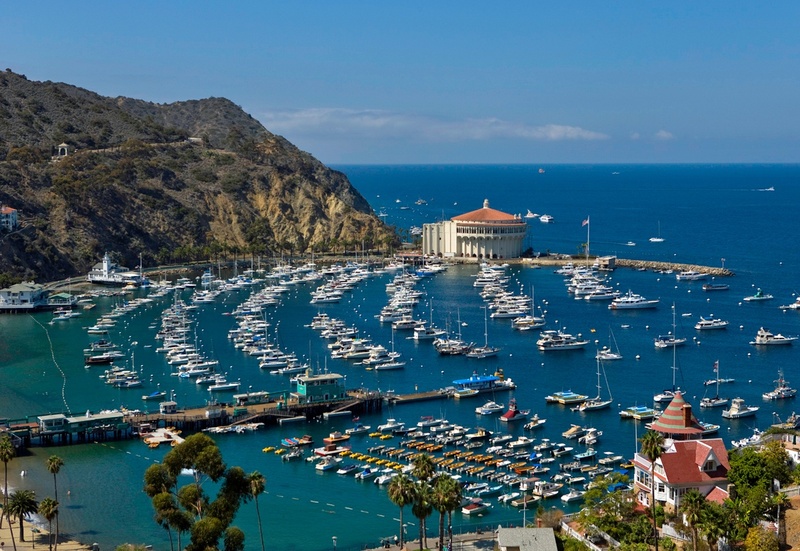 Take a quick boat on the Catalina Express to Catherine’s Terrace at the Descanso Beach Club. Enjoy a Thanksgiving buffet on the beach that includes carving stations with all the usual fixings on Nov. 26 from 11:30 a.m. to 5:30 p.m. The feast is $39 for adults and $19 for children. 1 St. Catherine Way, Avalon (800)481-3470. The hotel’s fine-dining restaurant Scarpetta with celebrity chef Scott Conant offers a Thanksgiving Day buffet with herb roasted turkey and the traditional trimmings. Begin with a complement of West Coast oysters, chilled shrimp, citrus cured salmon or snow crab legs and a mélange of extraordinary desserts from 12 p.m. to 5 p.m. The Rooftop is more casual featuring pumpkin soup, butternut squash flatbread, a roasted turkey sandwich and pumpkin gingerbread trifle.The Rooftop will be open from 7 a.m. to 5 p.m. for guests to order from the á la carte menu with views of Hollywood Hills and Beverly Hills as a backdrop. 225 N. Canon Drive (310)860-7990. Ring in Thanksgiving at a bar where everyone is thankful. Bar Mattachine, Downtown L.A.’s welcoming gay craft cocktail bar, is celebrating Turkey Day with lavish libations. Owner Garrett McKechnie is shaking up the Cape Coddah cocktail with vodka, fresh muddled cranberries and homemade lime cordial poured over crushed ice. The Indian Summer is a icy mixture of Olmeca Los Altos tequila, agave, fresh watermelon, lime juice, jalapeño and cilantro. Kick back on the outdoor patio, cozy up in the upstairs lounge, or dance underneath the shimmering disco ball this holiday. The motto at Mattachine is “Come with us, whether you are or not. Or do whatever you would like.” Bar Mattachine is open on Nov. 26 from 5 p.m. to 2 a.m. 221 W. 7th St.(213)278-0471. Ocean Club sitting right on the cliff of PCH, offers the perfect atmosphere, comfort and elegance for holiday events and dining. Open for Thanksgiving, the dining menus can be customized to include Mastro’s signature dishes – the seafood tower, petite filet, lobster mashed potatoes and the warm butter cake. 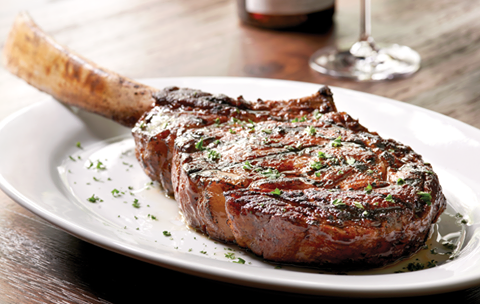 A wider selection includes fresh seafood, sushi, and celebrated cuts of steaks. Guests can enjoy live entertainment and dancing nightly in the piano bar lounge. 18412 Pacific Coast Highway (310)454-4357. The newly opened Beverly Hills restaurant from restaurateur Stephane Bombet and Executive Chef Michael Hung will present an all-day feast on Thanksgiving from 11 a.m. to 9 p.m. Dine in style at L.A.’s most contemporary indoor/outdoor dining destination, while enjoying technique-driven French dishes that include Galatine of Diestel Farms turkey with rosemary and sage gravy; roasted sugar pumpkin with bourbon honey glaze; brioche with wild mushrooms and truffle stuffing; and caramel pear tartine with ice cream and pomegranate reduction. Sip spiced mulled cider with rum or one of the specialty Thanksgiving cocktails from Bar Manager Ryan Wainwright. Managing Partner and Wine Director Francois Renaud and General Manager Emmanuel Faure will be on hand to provide artfully paired wine suggestions that blend with Hung’s offerings. This holiday meal is $68 for adults and $25 for children ages three to 12 years old. 9400 W. Olympic Blvd. (310)407-7791. Executive chef David Feau of Wally’s Beverly Hills is preparing a festive feast to take home for Thanksgiving. The meal serves up to 12 people and includes one 16 to 18 pound turkey with green bean ragout, truffle mashed potatoes, pumpkin gratin, choice of vegetarian or meat stuffing, pan roasted Brussels sprout salad, gravy and cranberry sauce for $300. Patrons can also order the meal with an eight- to nine-pound turkey that serves up to six people for $180. Feau will prepare only 50 turkeys and the meals are available on a first-come, first-served basis. The meals should be ordered at least 48 hours before Thanksgiving and can be picked up on Thursday, Nov. 26 from 10 a.m. to 3 p.m. 447 N. Canon Drive, (310)475-3540. 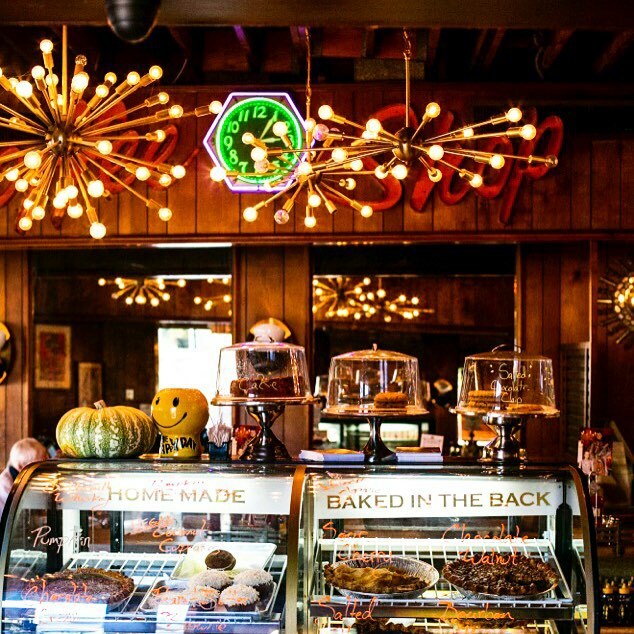 Brite Spot in Echo Park is offering a Thanksgiving meal for $19.95 per person, plus tax. The meal includes a fresh roasted, hormone and anitbiotic free farm raised Mary’s turkey breast with Yukon gold mashed potatoes, baked yams, housemade turkey gravy, housemade traditional dressing, housemade fresh cranberry sauce, fresh baked Parker House rolls and a slice of freshly baked pumpkin pie. A cup of coffee or soda is included. 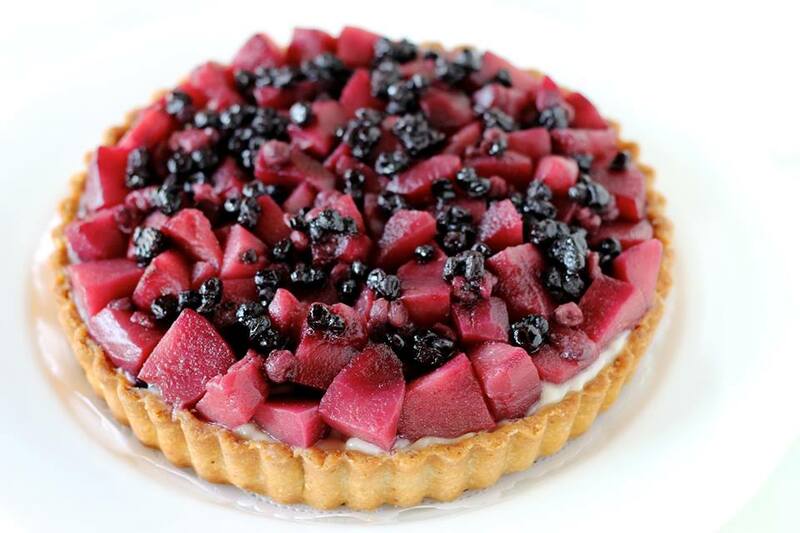 Brite Spot will also offer whole pies and cheesecakes to go with 48-hour advanced orders. Whole apple pies and pumpkin cheesecakes are $40. The meal is available for take out and must be pre-ordered 48 hours in advance. 1918 W. Sunset Blvd., (213)484-9800. 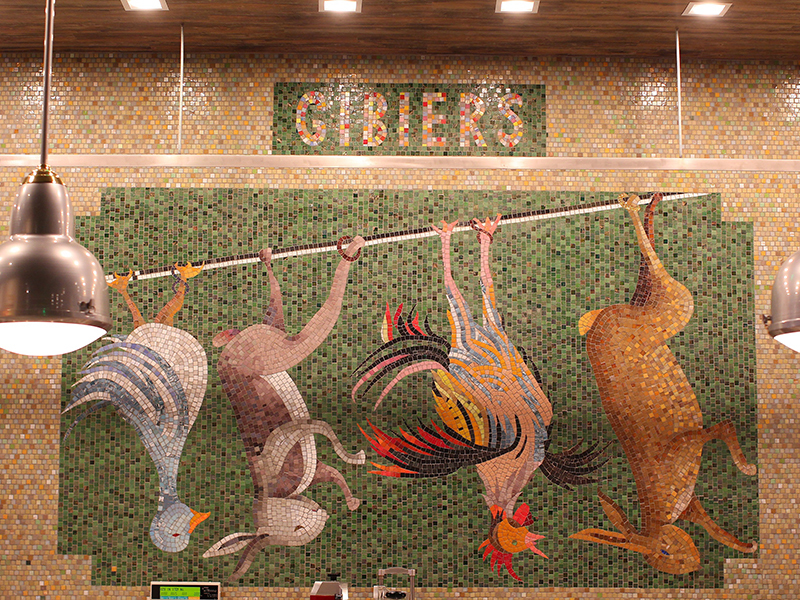 Doma Kitchen will be open from 2 to 8 p.m. and will offer a special Thanksgiving menu by chef Kristina Miksyte. Some of Miksyte’s unique creations have an Eastern European culinary theme. 3562 N. Sepulveda Blvd. (310)647-3157. 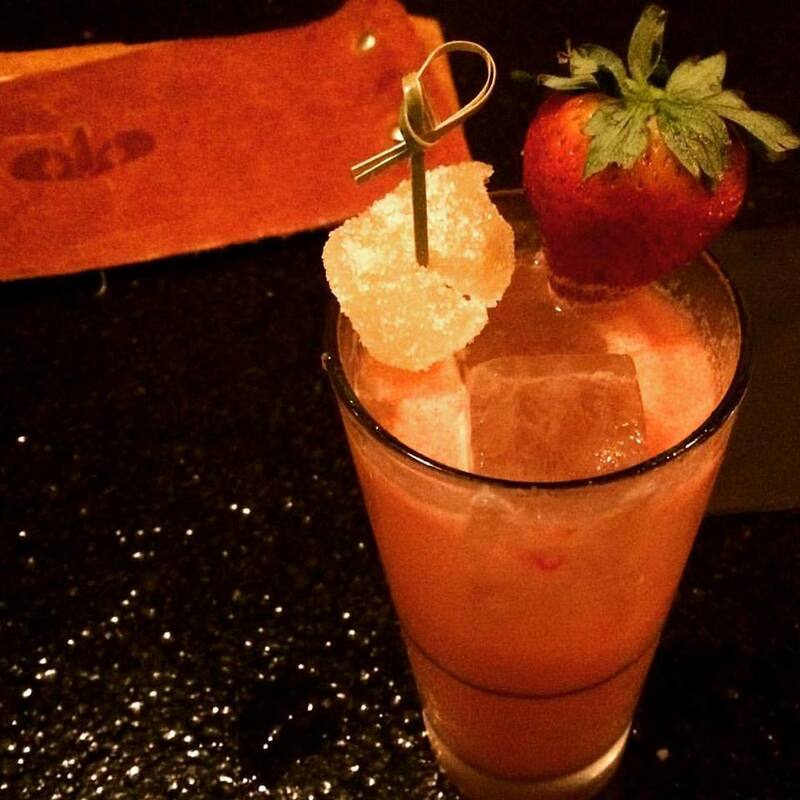 L.A.’s “culinary theatery” Barton G. LA will showcase seasonal pumpkin and turkey-inspired creations with an elevated twist on Thursday, Nov. 26. 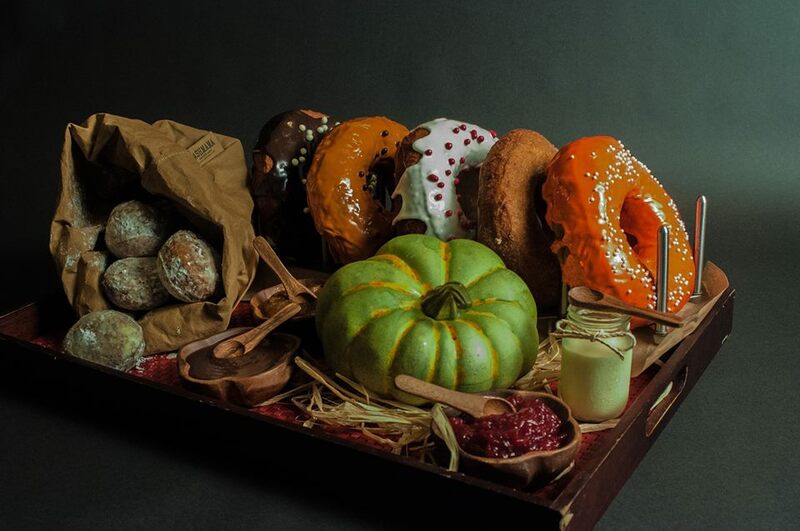 Three-course holiday meals include shareable pumpkin spice donuts and pumpkin soup. The menu also includes fall garden salads, herb roasted turkey breast with confit leg, and pumpkin donuts with cranberry compote, pumpkin butter, spiced warm chocolate and cinnamon anglaise. The cost is $65 per person and reservations are required. 861 N. La Cienega Blvd., (310)388-1888. Have a carefree Thanksgiving with an annual buffet prepared by Patina chefs with all the trimmings, including vegetarian options, on Thursday, Nov. 26 at Descanso Gardens. Seatings are available at 11:30 a.m. and 1:30 p.m. Cranberry orange cheesecake and pumpkin pie tarts are an ideal finish. After the meal, guests can walk in the gardens. Seating is limited and reservations are required by Thursday, Nov. 19. The Thanksgiving brunch buffet is $74.56 for Descanso Gardens members and $31.39 for their children, and $86.33 for non-members and $36.62 for their children. 1418 Descanso Drive, La Cañada, (818)790-3663. 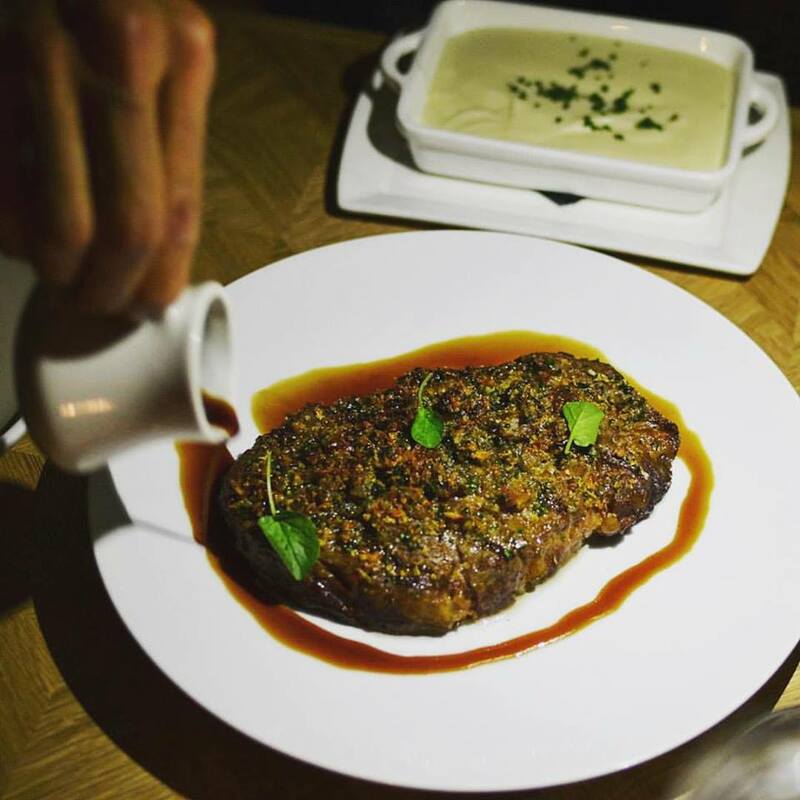 M Café, Los Angeles’ contemporary macrobiotic café, is serving cuisine free of dairy, red meat, refined sugars, eggs and poultry, and offers a veg-friendly, meat-free Thanksgiving feast to go that is tailored for dietary needs and requires no cooking. The M Café’s Thanksgiving Feast includes a choice of entrée, holiday soup, salad and choice of two additional accompaniments. The price is $75 for a two-person feast and $145 for a four-person feast. Locations include Brentwood, Melrose Avenue and Beverly Hills. For information and orders, call Kristel Kim at (213)500-7220, or email kristel@thechaya.com. 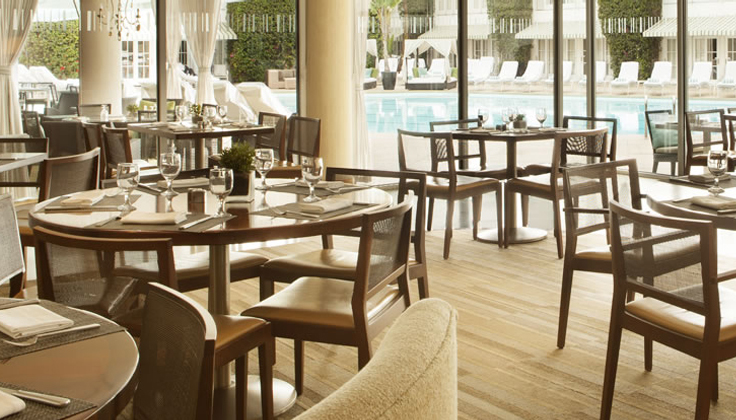 Circa 55 in the Beverly Hilton is serving a modern brunch and California dinner menu for Thanksgiving with market-fresh dishes that are 95 percent locally sourced. Thanksgiving brunch includes carved citrus-brined roasted turkey with breakfast favorites like eggs Benedict and Belgian waffles. The dinner includes roasted turkey with giblet gravy and sage stuffing, and wood grilled fish with spaghetti squash herb butter. Hours are 11 a.m. to 4 p.m. and 6 to 10 p.m. The brunch price is $79 per adult and $36 for children; $60 per person for dinner. 9876 Wilshire Blvd., (310)887-6055. 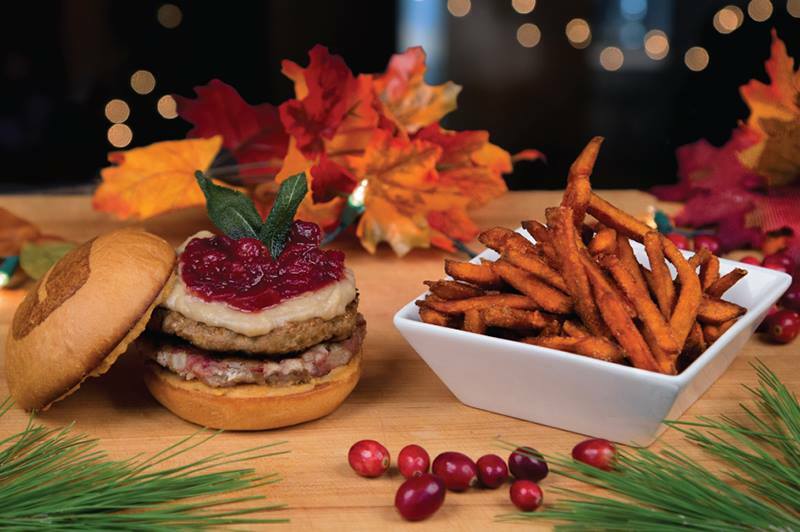 Umami Burger’s Holiday Bird is an entire holiday meal with Umami’s signature turkey patty, a cornbread stuffing patty, house-made turkey gravy, fresh ginger-cranberry chutney, spiced Japanese yams and Umami-dusted fried sage. For every Holiday Bird dinner sold, $1 will be donated to Meals on Wheels America to help seniors in need. 189 The Grove Drive, Ste. C-10, (323)954-8626; 4655 Hollywood Blvd., (323)669-3922; 1520 N. Cahuenga Blvd., (323)469-3100. These destinations were featured in the Beverly Press and Park LaBrea Newspapers on Nov. 19 and Nov. 26, 2015.